We now have a Gwynfa Camera Club Youtube account and our chairman Steve Littlewood has made some of his video tutorials available for your viewing pleasure. With a bit of jiggery pokery, we’ve made them viewable directly from this website. You’ll find them under the Links menu at the top of the screen. Currently there’s an 18 part guide for PictureToExe and a video explaining how to resize images correctly for digital projection using Photoshop Elements – which reminds me… over there —> is a BIG button where you can test your digital entries before submission. 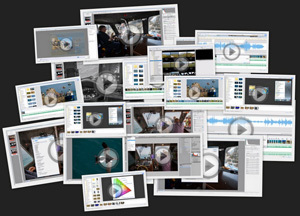 If you’d like to contribute to the video library with your own guides, the software used to record the screen and audio is freely available from Microsoft and straightforward to use for the already computer savvy members. 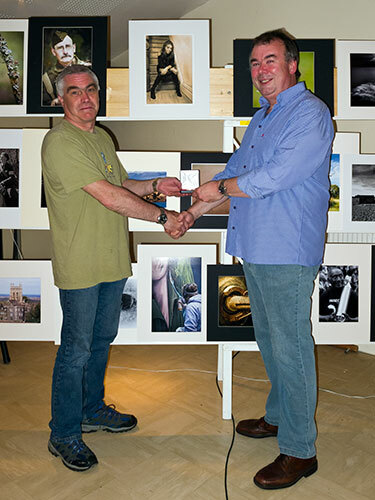 Rob Greenhill was comfortably numb when his print ‘Comfortably Numb’ was declared the overall winner of the May 2013 Open competition. Well done Rob, it was a worthy winner. Second place in the print section went to Alec Stewart for ‘Banded Demoiselle (Calopteryx Splendens)’. Honours in the digital section were spread between two delighted female members: Leigh Parsons was first with her very intriguing image ‘Late Night Takeaway’. Second was Ennis Matthews with Red Kite In Flight. All four images progress to our ‘Picture of the Year’ evening in December. 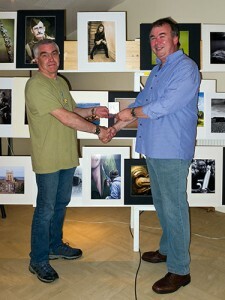 The judge was Phil Ray of the Vale Camera Club.